Geralf_Cecani! Thank you for your input! If I was building a more expensive deck, I would take a lot of these suggestions. One I will be adding is Magus of the Moon because of his 5.00 price. 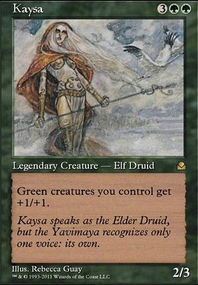 One of the important goals is to keep this deck below 200, which takes Tarmogoyf out immediately. As for the value engine in Ghost Quarter and Ramunap Excavator , I'm trying to swerve away from the tempo strategy and simply win games as quickly as possible. 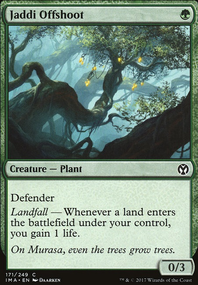 Plus, with the amount of land destruction we already have, we can easily disrupt our opponent in the turns that matter so we can get far enough ahead that their removal proves futile, assuming they even get a land out. Ponza is inherently resilient to Control and Tron simply because of how seriously these problem matches lean on their mana bases for the right play each turn. With that in mind, I put this up without a complete sideboard. I had meant to finish it, but it was late when I posted this deck. Your sideboard suggestions will definitely be put in, along with Magus. 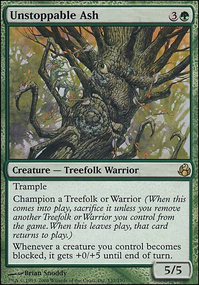 As for Bramblecrush, its technically a weaker Mwonvuli Acid-Moss, considering it doesn't get us ahead of our enemy except through removal, while the Moss has removal and ramp in one package. 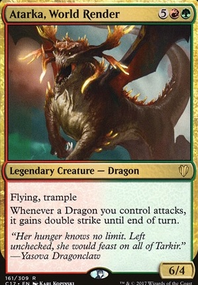 Again, that being said, Affinity and fair decks like Humans are probably some of the most problematic matches due to their ability to swarm a board with creatures before we can get their lands off the board. So we need sweepers, most likely Anger of the Gods, as well as Shatterstorm for Affinity. No room for blue, unfortunately... As a suggestion, with the amount of recursion you have, Novablast Wurm might be an interesting choice if you're looking for a wipe. On a smaller but more spot removal-y scale, Bramblecrush is a pretty versatile option. Honestly, all of the cards I was going to suggest are already in here. Great idea, solid execution. I'm thinking a Brass Squire would be a nice inclusion, especially with some of my suggestions, or just because you move a lot of equipment around. Helm of the Host, can let you copy Grothama and have it fight itself for 20 cards drawn. There are two big glaring weaknesses of this deck: Flyers, and removal. For removal best to worst: Beast Within, Song of the Dryads, Karn Liberated, Argentum Armor, Steel Hellkite, Spine of Ish Sah remove anything. 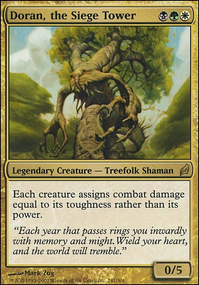 Reclamation Sage, Acidic Slime, Bramblecrush, Woodfall Primus can slow down your opponents while building your board. kamarupa, thats for your suggestions. Sorry but I don't think I will add Howl of the Night Pack, Liege of the Tangle or Harvest Season. 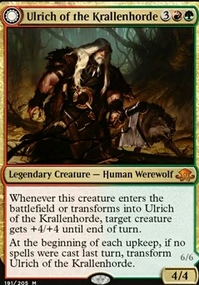 I think that Wolfbriar Elemental fills the role of Howl of the Night Pack, Liege of the Tangle I find is too fragile (Can be Path to Exiled or kill by other removable before it can make your lands 8/8) and cards like Harvest Season don't give you board presence which can let your opponent get ahead. When it comes to the cards you suggested for the sideboard, right now this deck doesn't have a sideboard but I am working on one. I was planing to play Broken Bond instead of Naturalize because I think the upside is worth the downside of not being an instant. I was thinking of one copy of Bramblecrush in the side board but I think you are right and Beast Within would be better. 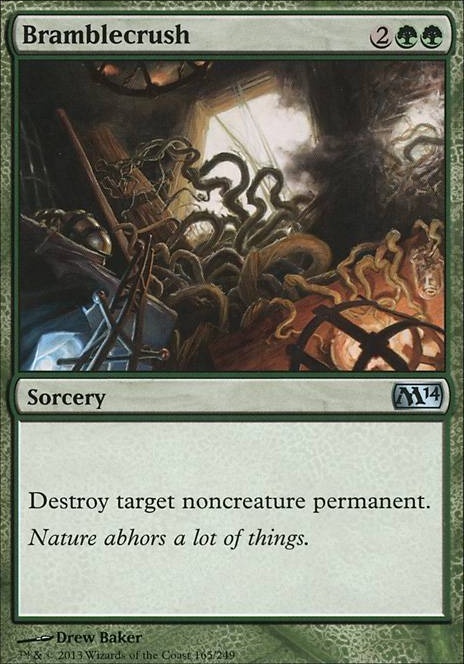 Pithing Needle is fine, but there are already other cards I would rather play in the sideboard. Ignore me, I forgot Bramblecrush was uncommon. Teach me to think about cards when I'm half asleep.